Charlotte has a lot to cope with; her new teacher, her (single) mum losing her job, having to sit next to Jamie the swot, her friends' silly crushes, and, worst of all, her mum finding a boy friend. Somehow she manages, largely by working very hard on her history project: the make believe diary of her namesake, Lottie, a Victorian servant girl of her own age. 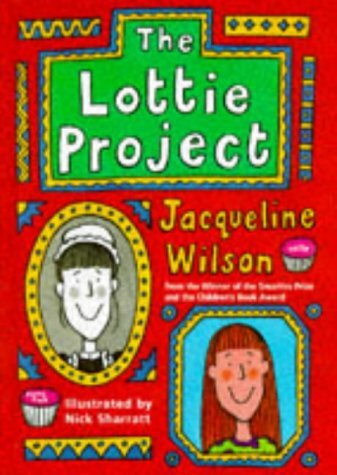 The Lottie project mirrors Charlotte's own worries and hopes, as much as her growing knowledge of Victorian life. Readers can see how Charlotte creates a story from her experience and compare the pressures and expectations of Victorian Lottie with modern Charlie. Charlie and Lottie are typical Wilson heroines: passionate, tough, no nonsense girls who feel a weight of responsibility beyond their age. They both come close to despair when they feel they have let themselves and other people down, but they find, as such personalities will, help and friendship in unlikely places. Wilson sketches her subjects boldly so that they are recognisable without being caricatured and she gives us a gallery of portraits and a weave of plot and sub plots in two time periods without faltering. Wilson writes with a faith in children's resilience and good sense. Nick Sharratt's drawings are, as ever, the perfect complement to her upbeat prose and snappy dialogue. This book is intelligent, funny, moving and inviting. Teachers and children should seize on it eagerly. Prize givers should consider it carefully.